The 1994 Varsity Basketball Team returned to JA’s campus on January 11 to celebrate their overall basketball boys’ team championship at the JA Classic. At halftime of the boys’ game, they named Scott Branning their permanent team captain and presented a check in the amount of $10,000 for the Scott Branning scholarship. 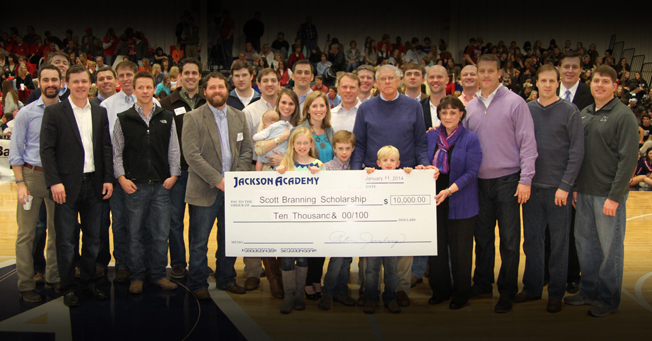 Scott was a beloved part of the JA family for most of his life, first as a JA student and Class of 1994 graduate and then as a teacher and coach.